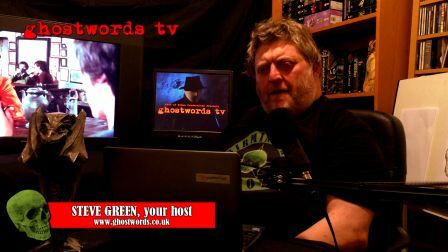 Chrissie Harper and Steve Green have released the first episode of Ghostwords TV, a fortnightly vidcast devoted to horror, dark fantasy, science fiction, comics and telefantasy. The opening installment offers a lengthy chat with author Ramsey Campbell, including a discussion of the recent controversy over the World Fantasy Award and reminiscences of the late David Hartwell. Other topics covered are the TV series Ash vs Evil Dead, the latest releases from comics legend Steve Ditko, personnel changes at Doctor Who, Graham Humphreys’ new artbook (including a discount offer for UK viewers) and a tribute to David Bowie. The show is available via Rose of Eibon’s YouTube channel (where you can subscribe to all their vidcasts). This entry was posted in Like Show Business and tagged Chrissie Harper, Ghostwords TV, Ramsey Campbell, Steve Green by Mike Glyer. Bookmark the permalink.